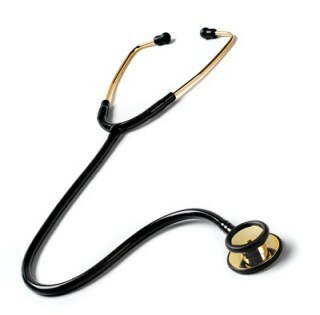 Our Clinical I stainless steel stethoscope enhanced with 22 Karat Gold plating adds a touch of class and distinction to an already exceptional stethoscope. Included are an inside alloy sound conductor for improved sound and two sets of soft eartips. Lifetime Limited Warranty. Black Only.